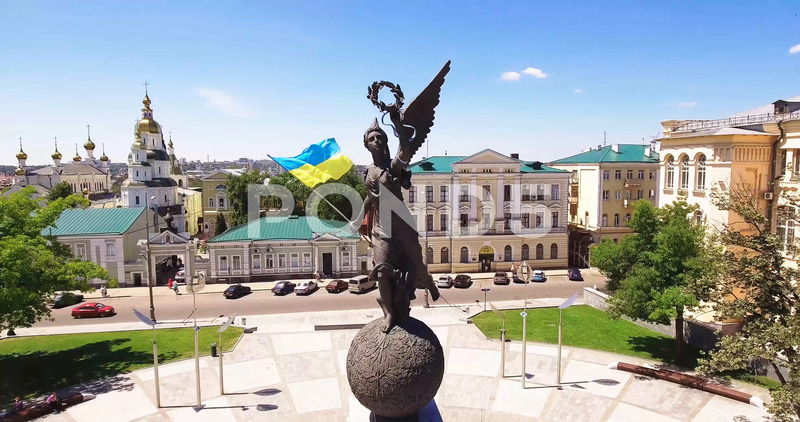 Description: Monument to the 20th anniversary of the independence of Ukraine. "The Goddess of the Flight Nika". Kharkiv, the square of the Constitution.